You, your family, your kiddos, pumpkins everywhere you look, beautiful fall foliage, farm animals, fall games – doesn’t it sound incredible? Autumn is here and Halloween is just around the corner. 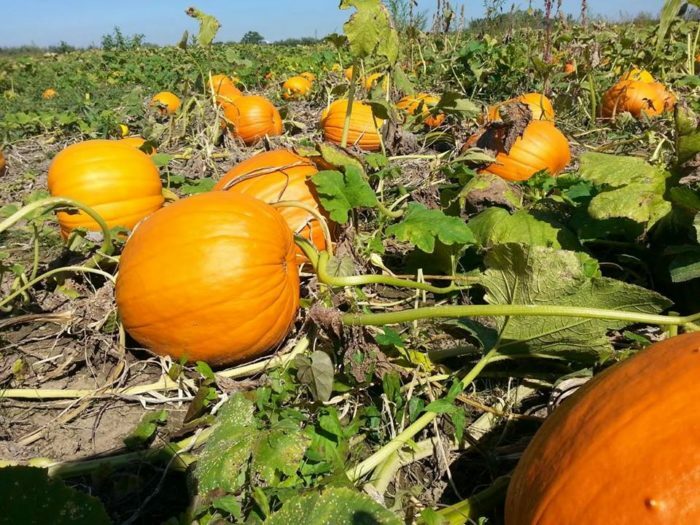 Pick a weekend day and take your loved ones out to one of the many wonderful pumpkin patches around Columbus. Most are just a short drive out of the city. 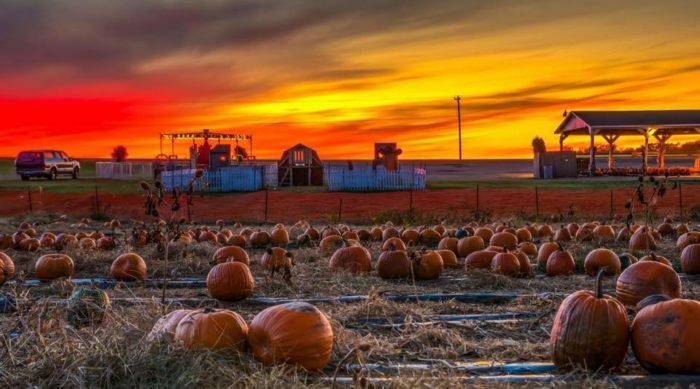 You’ll want those pumpkins ready for Halloween, and you’ll love all of the other activities and goodies that you’ll find at these local farms. 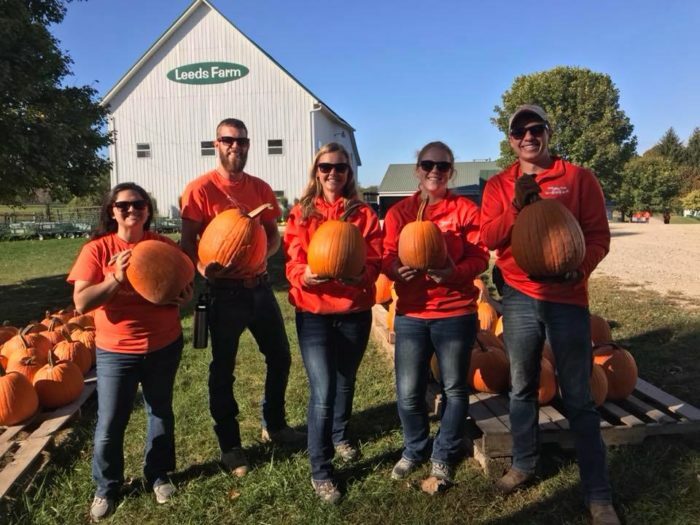 At Circle S Farms you get a lot of fun for a $10 per person general admission fee: a petting zoo, a pumpkin patch, corn and sunflower mazes, a bale cave, a hayride, a fun barn, access to baked goods, and a pumpkin for an extra $4. How much fun is that? The farm is open through October. 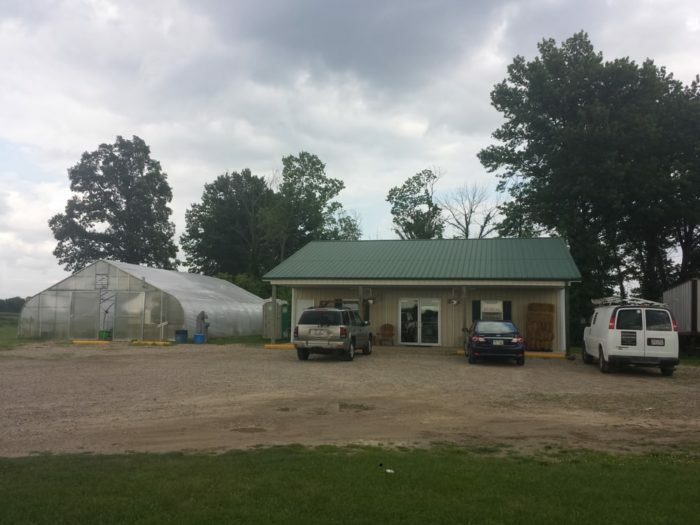 Circle S Farms is located at 9015 London Groveport Rd., Grove City, OH 43123. 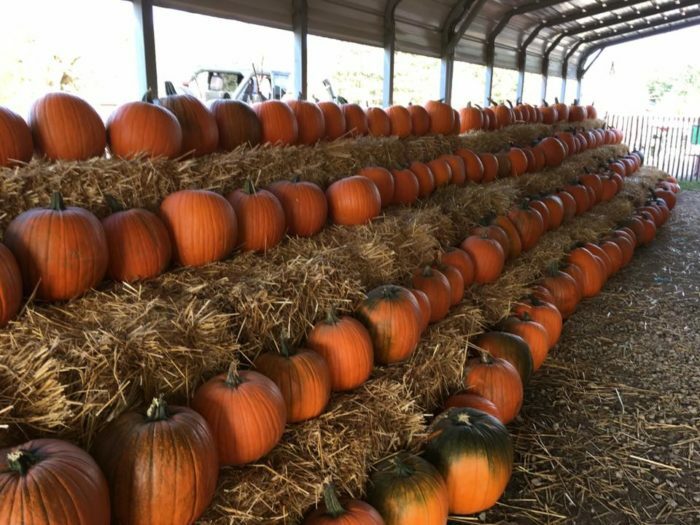 At Leeds Farm you can choose your pumpkin from thousands of fun choices, including blue pumpkins and fairytale pumpkins. 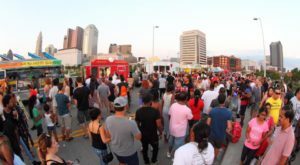 With an admission fee of $12 for kids and $10 for adults, you can also enjoy lots of other family fun activities like hayrides, zip lining, the biggest corn box in Ohio, goat feeding, and a banana bus. Paintball is also available for an extra cost. 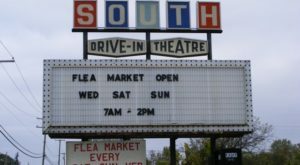 Open weekends through October 29th. 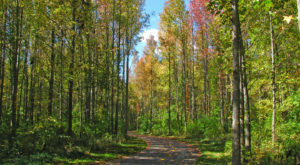 Leeds Farm is located at 8738 Marysville Rd., Ostrander, OH 43061. This working family farm is a super fun place for the kids. The Great Pumpkin Fun Center includes slides, tunnels, a corn box, a straw maze and a corn maze. You’ll find goats on the goat walk, rabbits in Bunnyville, alpacas, chickens, turkeys, and sheep. And of course, you can choose the perfect pumpkin here from the thousands of available ripe fruits. Open until October 31st. Pigeon Roost Farm is located at 4413 National Rd. SW, Hebron, OH 43025. 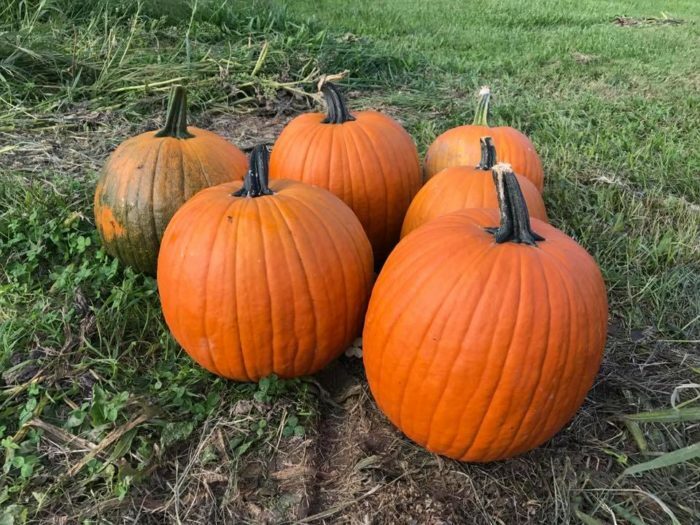 At Hann Farms you will find pre-gathered pumpkins as well as lots of other crops (when available). Be ready to find cucumbers, beans, onions, watermelon, and cantaloupes. 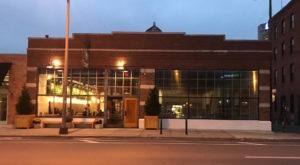 Also keep your eyes open for Amish-made furniture and pies (yum!). Crops are generally available through October. 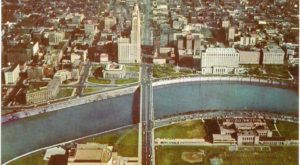 Hann Farms is located at 4600 Lockbourne Rd., Columbus, OH 43207. 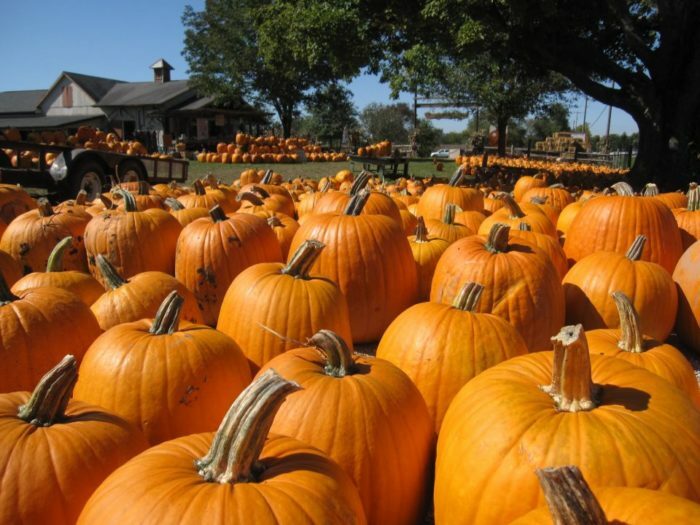 This fantastic farm began operations in 1982 and added pumpkins to their annual crop in 1985. 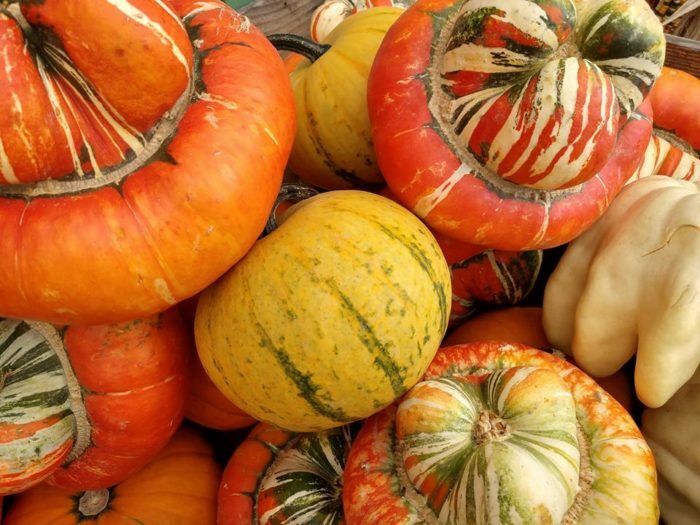 At the fall farm market you will find a variety of pumpkins, squash, gourds, apple cider, and crafts. You can also enjoy a corn maze and a pumpkin picking wagon ride. Bring your whole family and enjoy! Open until October 31st. Lohstroh Family Farms is located at 15632 OH-56, Mount Sterling, OH 43143. 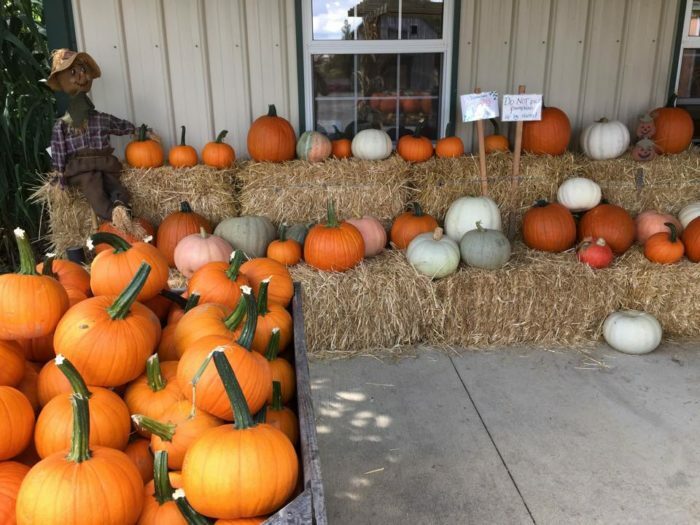 Renick’s Family Market offers all sorts of fall family fun, including a pick your own pumpkin patch, daily hand picked sweet corn, fresh daily baked goods, goat milk fudge, build your own scarecrow, and live bluegrass music. 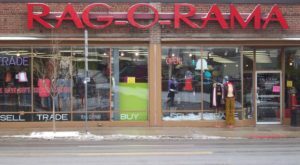 Here you will find a nice store with a large selection of jarred and homemade items, and a huge pumpkin patch to wander through for your favorite pumpkin. Renick’s Family Market is located at 14080 US-23, Ashville, OH 43103. Open every Friday-Sunday through October, Lynd Fruit Farm specializes in pick our own apples and pumpkins. There is a wonderful market with high quality products like apple salsa, cider, fresh pies, and cheeses. You’ll also find a fun corn maze for the kids. If you’re picking apples, feel free to eat as much as you want while at it! Lynd Fruit Farm is located at 9393 Morse Rd. SW, Pataskala, OH 43062. 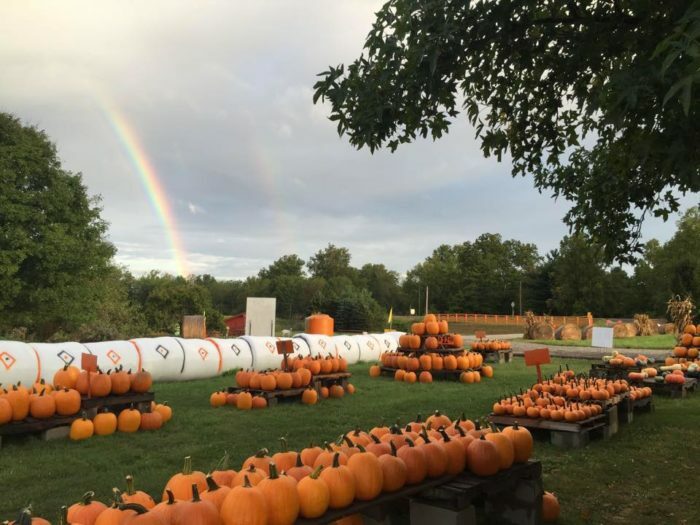 This great farm has a nice market where you can pick a pumpkin and try a delicacy like pumpkin donuts and caramel apples. You can also pick your own pumpkin from their wonderful pumpkin patch. Kids can enjoy a straw maze and grain boxes. Jacquemin Farms is open every day except Sunday through October. Jacquemin Farms is located at 7437 Hyland Croy Rd., Plain City, OH 43064. The Pumpkin patch is open and the pumpkins are ready for you. Head over to Doran’s for pumpkins, apples, corn shocks, gourds, indian corn, cider, and lots of other fall items and yummy goodies. Open every day, the market also sells lots of other fresh produce. Doran’s Farm Market is located at 5462 Babbitt Rd., New Albany, OH 43054. During the summer you will find a farm full of apples at Apple Hill, but in October - it’s all about pumpkins. You can visit the farm’s goats, sheep, and chickens, and even watch the honeybees in their observation beehive. You can also enjoy a hayride through the orchards, available during the weekends from mid-September through October 24th. 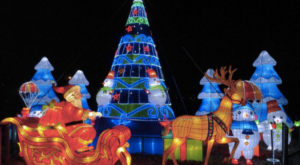 Apple Hill Orchards is located at 1175 Lexington-Ontario Rd., Mansfield, Ohio 44903. Have you been to these farms? Tell us which one your favorite is! 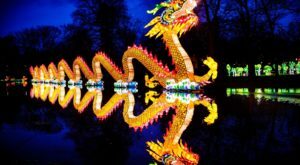 The Most Luminous Festival In Columbus Is Downright Spellbinding. Don’t Miss It.